What Should I Consider Before Adopting an Older Child? When I was in my late 30s, I felt sure that I was supposed to adopt a child internationally. It was a feeling that would not leave, like this was God’s plan for my life. But it soon became very clear it was just not going to work for our family. I was stunned.I was so sure that this was what was supposed to happen, like there was something I was definitely supposed to do to help a child or children internationally. Finally, it dawned on me that we could use the money it would have taken to raise another child to try to help children waiting for families, through Holt. That’s when I started sponsoring kids, in 1992. I started with seven children, and I loved having their pictures up on the refrigerator and reading their profiles. I loved the details about them, how they sounded like just your average kids (“Wipop climbs on the furniture and runs away giggling…”). We rejoiced when a child was adopted and a new one took his or her place. Days when my job was especially draining and I wondered why I was doing it, I would come home and look at those kids’ faces and be glad that my job meant that I could help support them while they waited for their forever families. For years, I just kept sponsoring kids, up to ten at a time. Then in 1997, I was invited to travel with a small group to see Holt’s programs in Guatemala. We jumped at the chance! When we arrived, I searched for a little boy named Manuel, who a friend was sponsoring. He was an adorable kid whose body seemed unusually stiff. I plopped him on my 12-year-old son’s lap and Manuel sat looking up into his face, reaching up to touch him. I snapped a picture of the two of them. Several years later, my friend received a letter saying that Manuel had been adopted by a family in the United States. Holt put his mom in touch with me, and I got to share a picture of her son, long before she met him, sitting in my son’s lap. She said he was running around outside as she spoke, happy, limber and carefree. Sponsorship led me to wonder what else I could do for kids waiting for families. After the Guatemala trip, I kept traveling to see Holt’s programs around the world. I went to Thailand to help rehab an orphanage playroom. My son and I went to Romania to visit families in their family preservation program and visit a home for unwed mothers and their babies in Bucharest. 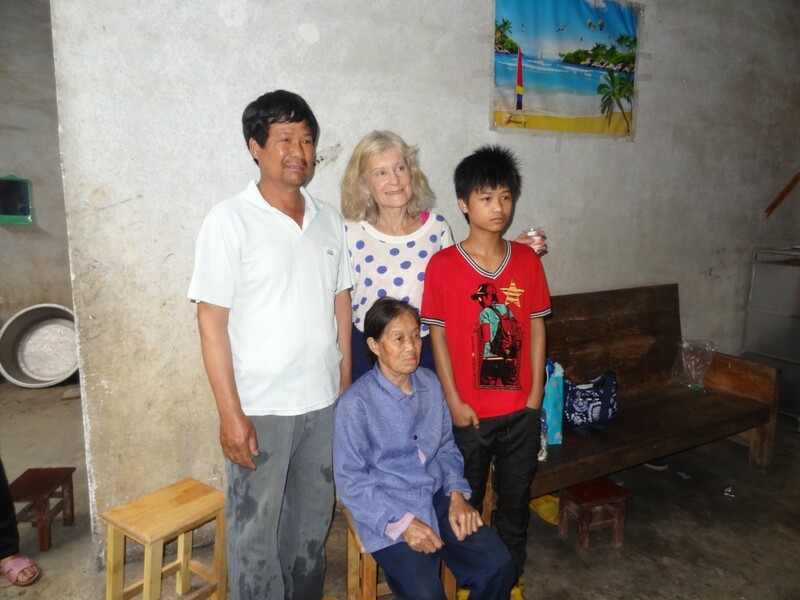 On a trip to China and Vietnam, I visited orphanages, met foster families, and met families who were able to keep their children only because of Holt’s robust family preservation programs. I always came away from these trips convinced that Holt employees are making the absolute best use of whatever funds I can donate. They are making the kind of decisions that will have a lasting, positive impact for children and families for all of their lives, the kind of decisions I would make if I had their knowledge and expertise. My last trip to China with Holt a few years ago was a special one. 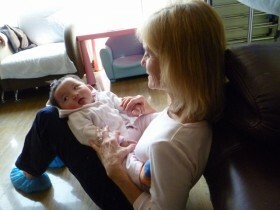 We visited Peace House in Beijing, where orphans who need surgery are cared for in a loving home environment. We met children living in group homes, met children in foster families, and got to visit several families in their family preservation program. One of those visits was very special to me. It was to a teenage boy living with his grandmother in a poor, rural area. I knew a fair amount about them, because that boy’s picture had been hanging on my refrigerator for several years. To get to meet him in person, take his stooped grandmother’s hand, show him the picture I had of him in my home, and hand him a few gifts from Chicago… that was a moment I will never forget. As the years have gone on, sponsoring through Holt has led me to support many unique programs. About a year ago, I received a call from Holt about a group home project for children with HIV in China. I was able to pitch in with a donation that enabled the staff to prepare up to ten of the 30 children for international adoption. I cannot think of one single thing that I could have done with that money that would have made me happier. Since 1992, I have sponsored over 100 children and gotten to find out what happened to some of them. That’s been such a gift. But more important even, sponsorship has led me to a whole different level of involvement with Holt’s programs. That involvement has been a gift beyond measure in my life. 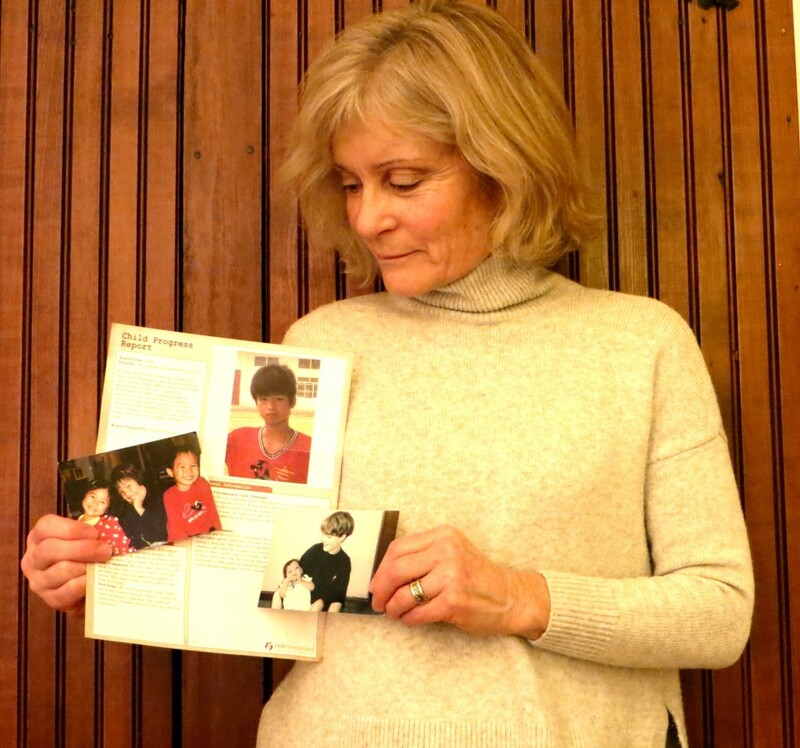 I started with the idea of using the money I would have used to raise another child to try to help children waiting for adoption, through Holt. It seemed like a decent fallback plan from where I thought God was leading me, though not my first choice. Now, I feel that giving back through Holt all these years was God’s plan all along and I am grateful beyond words to be able to continue to do it. Help Save the Adoption Tax Credit!